The last time I was at the doctor’s office, I found myself in the waiting room flipping through magazines during the customary seven hour waiting period (okay, maybe it wasn’t that long, but it felt like it). It was then that I realized most of the magazines were a few months old at the very least. I casually flipped through several news-related magazines but found that all of their stories were outdated. I had no interest in reading about overseas conflicts that had already been resolved at that point. Because of this, I found myself reading home design and architecture-type magazines as well as back issues of various PC gaming magazines in an attempt to find some gaming tips to help improve my skills. 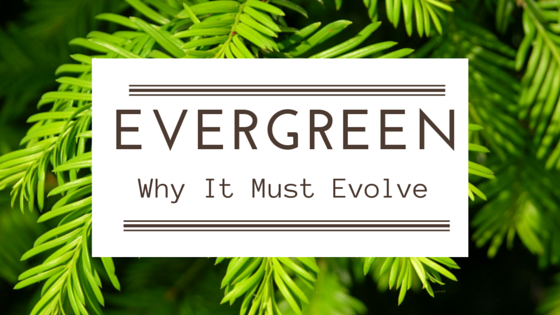 Why we want to create evergreen content? What I’m getting at is that this is the kind of mentality that everyone has when they are reading content and it applies to your blog as well. When visitors are looking through your blog, they’re more likely to skip over outdated content, since they’re not going to read anything that they do know already, and go straight to the evergreen content. 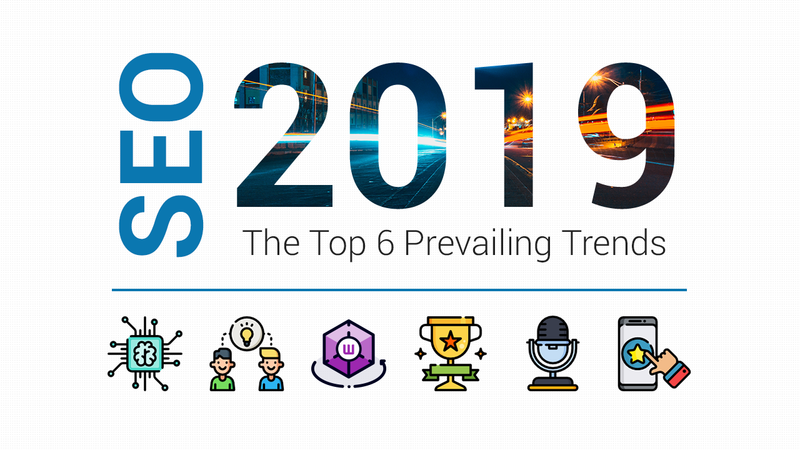 We all know it is crazy to keep on producing content to maintain a certain volume of traffic and for competing with other players on the content front. It can get very tiring. You and I believe that there has to be another way! Evergreen content is definitely one way whereby you can completely forget about writing more and more content while getting traffic without any more work. We all wish that we are able to receive traffic even while on holiday. This is old hat… Everybody is already doing this. I bet you have experienced this before, where it is impossible to rank because there are way too many evergreen contents out there. This content strategy is not working anymore. But we at SEOPressor are still able to get evergreen traffic! We have accomplished mission impossible! What enable us to out rank other evergreen contents? Before we reveal the missing pieces for evergreen content, we have to define clearly what evergreen content is. 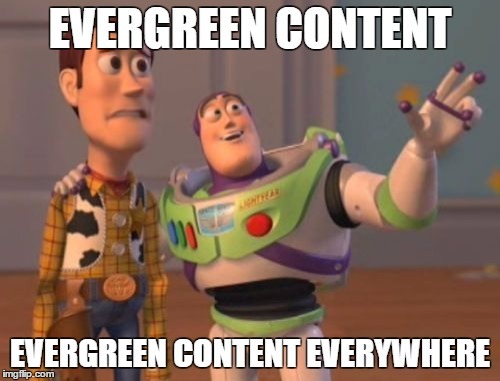 So what exactly is evergreen content? At its most basic, evergreen content is content that remains relevant no matter how old it is. It’s called “evergreen” content because it’s being compared to the evergreen trees commonly used during the Christmas season. 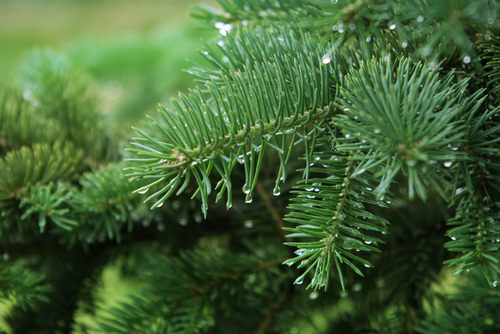 Evergreen trees are symbols of perpetual life because they don’t shed their leaves during the fall and winter seasons like most other trees; instead, they keep their leaves throughout all four seasons, staying fresh all year long. News-related content – An article about a sports event or about a natural disaster that just occurred somewhere in the world is only going to be relevant while it’s news. These types of stories will only remain fresh for a few days since new information will be released until the event ends, at which point no one will be interested in the story anymore. Statistics – Statistics tend to change, which means that they will only be relevant for a short period of time depending on what the numbers represent. Monthly statistics or reports are going to become irrelevant much quicker than yearly reports, after all. Content about people – A piece about a specific individual is only going to be relevant while that individual is relevant. 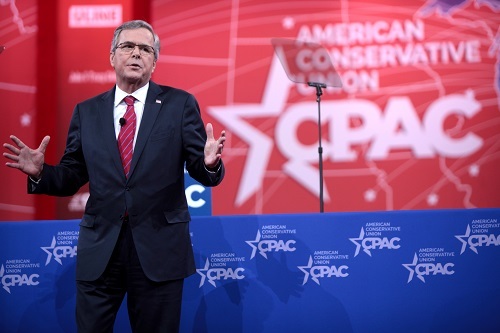 For example, writing content about the candidates for the Republican primary is only going to be relevant until the primary is decided. Fads and trends – Fads and trends come and go. 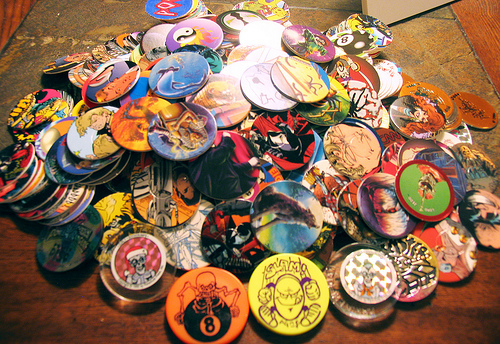 Remember how popular pogs were two decades ago? Remember the brief resurgence that yoyos towards the end of the 20th century? Probably not, which means you’re not searching for them online. Create “How-to” posts – How to posts are some of the most effective forms of entry level evergreen content. How-to posts are a great source of useful tips that readers can apply to their own lives. For example, “how to save energy during the winter.” or “how to write how-to posts.” These types of content will never lose relevancy because readers can always extract value from them. Create “Tutorials” – A tutorial is a type of how-to post. Think of it as a more detailed, step-by-step how-to post. For example, maybe you’re looking for ways to improve your golfing form. A tutorial can show you step-by-step how to stand, where to bend you elbows and more in order to improve your swing. Another great example is the recipe. If you’re looking to cook a new dish, then there’s a good chance you’ll go online in search of a detailed recipe, which is basically a tutorial for how to cook it. Creates “Beginner guides” – Beginner guides are basic overview of certain subjects to help introduce readers to the topic. For example, maybe you’ve never golfed in your life but are interested in learning. Jumping straight into a tutorial on improving your swing may not be very helpful in this case. A beginner’s guide might explain the basic rules of the game, what kind of equipment you need, how to begin playing and more. Create “History info” – Content that explains the history of a certain subject are a great educational source for readers that will always remain relevant (unless you go back in your time machine to change the past – then you might have a problem with your content). For example, a piece about the history of golf would explain where it originated, how the rules of the game changed and when some of the major tournaments began. You can always go back and update history-based content to reflect any changes as well, such as by adding more current tournament winners to your “History of the U.S. Open” post. Stories – Good storytelling will help make your content stay interesting for years. Just think about all of the classic stories you know, from Peter Pan and Cinderella to even Star Wars and Indiana Jones. These stories remain popular because of good storytelling. If you can tell a story in your content, there’s a good chance it will remain more relevant for a longer period of time. 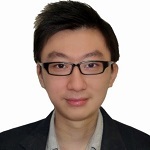 Previously my friend Azfar wrote an article about fresh content and he did mention that evergreen content is very competitive. I have to assure that what he told you is real. I admit it is hard to rank these content in the first page because there are a ton of them out there. How are we going to differentiate ourselves from the rest of the evergreen contents out there? But… there is a way to beat them! The only way to beat them is to enhance your content to the next level. If you want to beat the current evergreen content, the only way is to step up your evergreen content game, and you should aim at creating some high-level evergreen content. High-level content may not be as accessible to the general audience as your normal evergreen content would be. High-level evergreen contents are more targeted towards a specific audience that is familiar with the subject matter on some level, which means beginner guides are out. Here is how we use high-level evergreen content to rank. Evergreen content requires some coding in order to provide more interaction for the reader. Our Blog Title Generator. 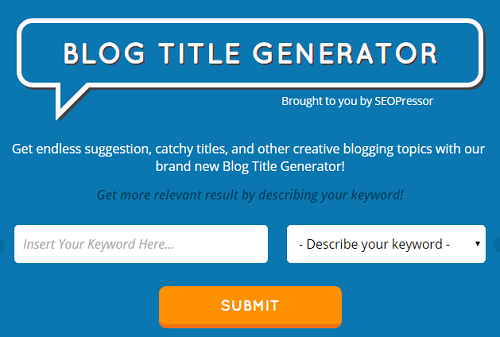 It’s a piece of content that we provide to our readers potential blog titles. To create this content indeed it requires coding skill. This is the only way to beat other contents other there. You might want to start to learn or outsource the coding. That is why nowaday, coding courses are getting popular now. Let me shows you the result. As the Graph from Google Analytics, we continuously getting 1.4k traffic purely from Google search Engine [1 May 2015 – 31 Oct 2015. We are not alone on doing this interactive content. Look at Nomadist. Nomadist know their target audience not going to read 1000 words about the cost of living and weather for a country per post which. The users just grab information and they want it fast. Nomadist understands their users wants to obtain information and they are indeed very impatient. Interactive content can help users get to information fast without users jump [Or I will call it pogostick] to another search result. That is why, interactive content play the important role here. Another example from Us is Google Patents – Google patents are complicated to read but are full of information that is useful to SEO marketers. Breaking down a Google patent can help provide highly valuable information for marketers – but no one else is going to be interested, nor will they have any idea what it is you are talking about. These readers are looking for detailed, highly specific evergreen content that can be more difficult to find, so if you provide it to them, they are more likely to return to your blog and engage with your site. These content will more likely to get more bookmarked. Ensuring that you have good UI – The UI (user interface) of your high-level evergreen content has to be really good. If it’s not, then the user experience of your readers suffers. If they are unable to navigate your content, they won’t, and you’ll end up losing readers. Actually adding value – Just because you follow some of our tips for creating high-level evergreen content does not mean that you are automatically providing value to your readers. You need to understand who your user is, what their wants and needs are, and what their problem is in order to provide them with unique high-level evergreen content that provides them with value. Understanding the costs – Because high-level evergreen content takes more resources to create and is much more of a long-term strategy for reaching a niche section of your audience, it ends up being more expensive to create. 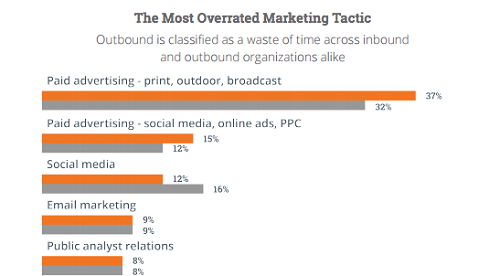 As long as you understand this when you are budgeting your content marketing strategy, you should be fine. When implementing a content marketing strategy, don’t just focus on creating trendy blog posts – make sure that you have both normal and high-level evergreen content in order to build a library of valuable content that will act to draw leads and provide value to readers for years to come. So, what do you think about interactive content? Will you create it? Tell me about it below.